Almost fifty years since the so called ‘Act of Free Choice’, the time has now come to put an end to the bloodshed and allow the West Papuan people an opportunity to determine their own political future. On May 3rd, the International Parliamentarians for West Papua will be joined in London by members of the United Liberation Movement for West Papua and the International Lawyers for West Papua, in order to discuss their belief that West Papuans have a fundamental right to self-determination. This month we need all of our supporters across the globe to join in our April actions and help us build momentum for this important moment in West Papua’s history. 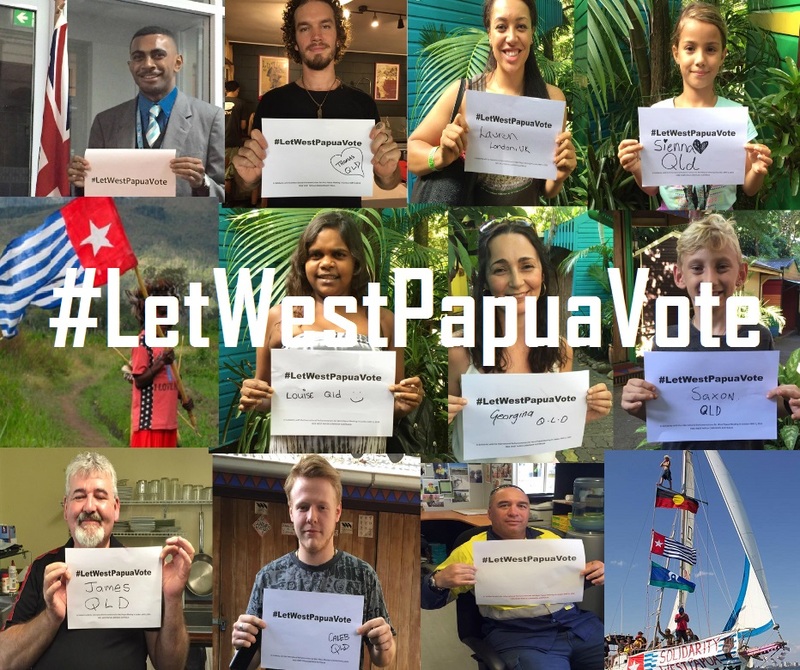 Take a photo of yourself displaying the message #LetWestPapuaVote. Download and print the message for your photo here. 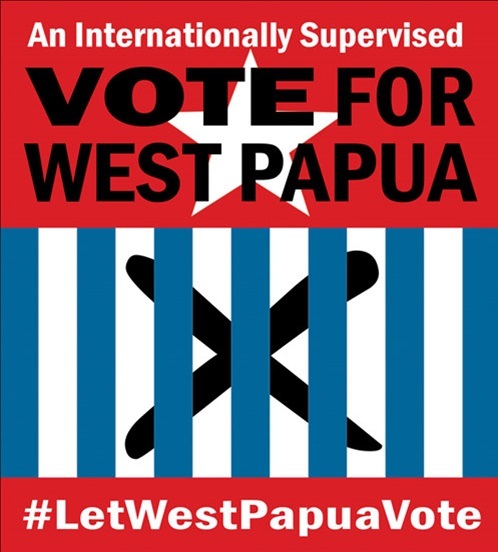 Add your name, location and message of support and post it to your Facebook, Twitter and Instagram pages, being sure to include the hashtags #LetWestPapuaVote and #FreeWestPapua. Send your image to us at the Free West Papua Campaign and we can also share it to the world. You could also create a video message – In your video message please include your name, where you are from, and the statement “I join the call to Let West Papua Vote!”. MAKE SURE YOU GET YOUR FRIENDS AND FAMILY TO DO THE SAME! Keep writing to your local representatives to encourage them to add their name to the International Parliamentarians for West Papua (IPWP). Template Letter to Representatives asking them to join IPWP. Visit our Facebook for up to date news and information. Please continue to stand beside us and together we will FREE WEST PAPUA!